Silver - Quartz There are 7 products. 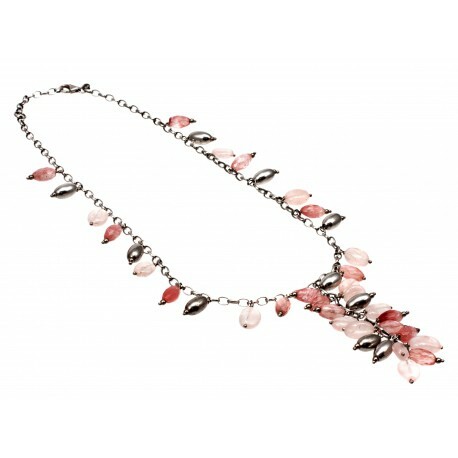 Beautiful smoky and pink quartz stone pieces inlaid to silver jewelry. Quartz commonly found in Scotland , Switzerland , Brazil, USA, Madagascar , India and Germany. It reduces stress and stressful mood associated with emotions, helping to overcome objections. It helps to get rid of inner anger , jealousy , fear and guilt. 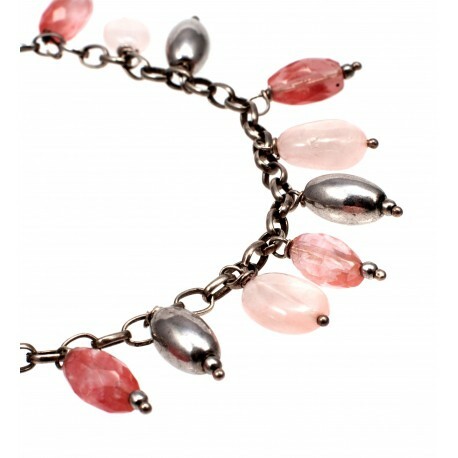 Silver bracelet with pink quartz. Silver necklace with pink quartz. 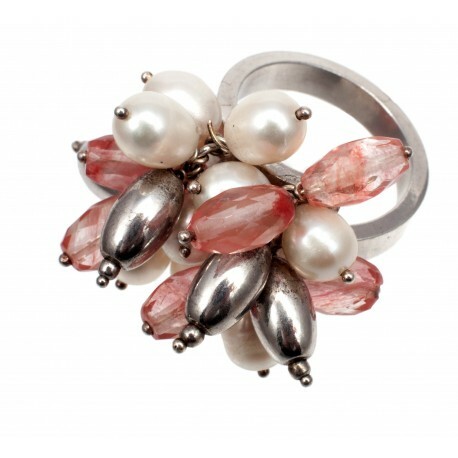 Silver ring with pink quartz. 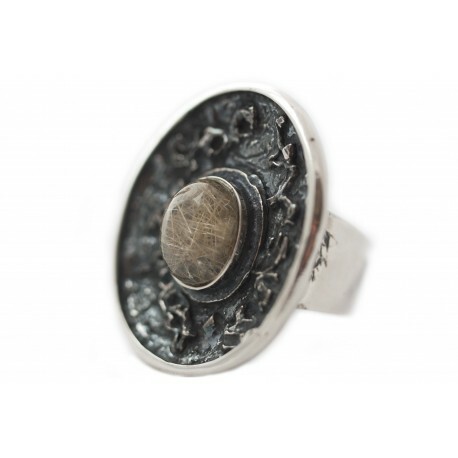 A silver oval shaped ring with smoky quartz. A beautiful, original work of an artist. 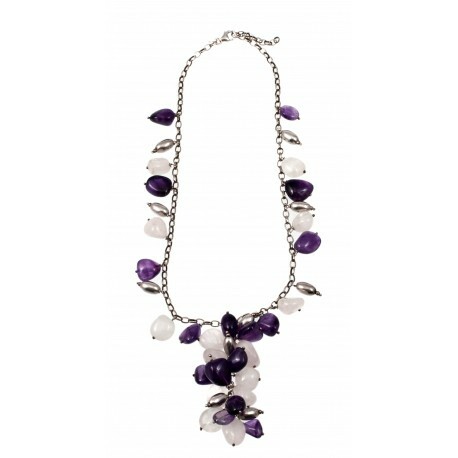 A smooth quartz inlay combined with massive, burnished silver openwork and the dashes visible in the stone are called Venus Hair by the jewellers. 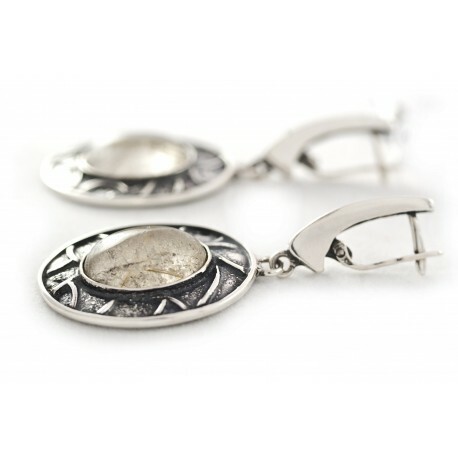 Oval-shaped silevr earrings with smoky quartz. Elegant earrings that intensify femininity. A delicate oval shape provides security and hyphens visible in a stone inlay are called the Venus hair by the jewelers.